A few weeks ago, I shared those melt-in-your-mouth Poppyseed Sandwiches and meant to follow up with my roll recipe but in the hustle and bustle of life completely forgot. So, since I haven’t posted anything for quite a while I decided to share these perfect buns with you. 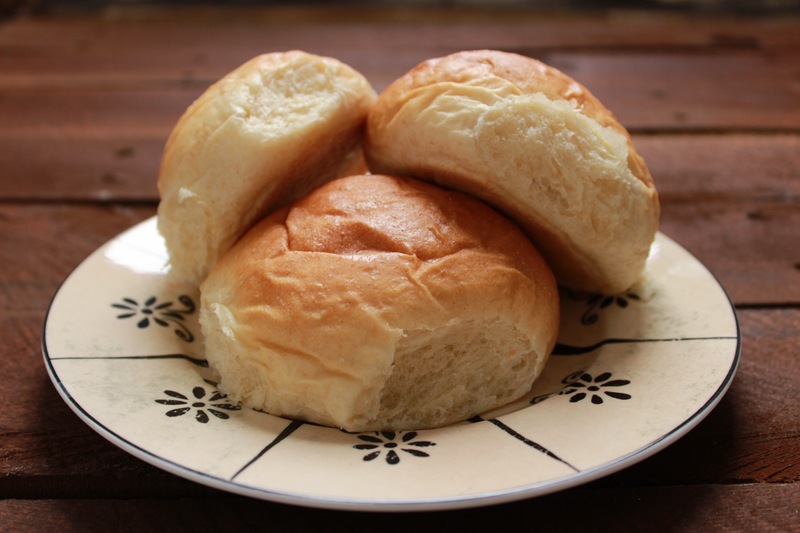 This recipe is also known as “Hutterite Buns”. (They call them buns, not rolls so I’m sticking with the culture here. Haha!) Most hutterite ladies are known for their perfectly soft, fluffy, “buns” that they make every week. 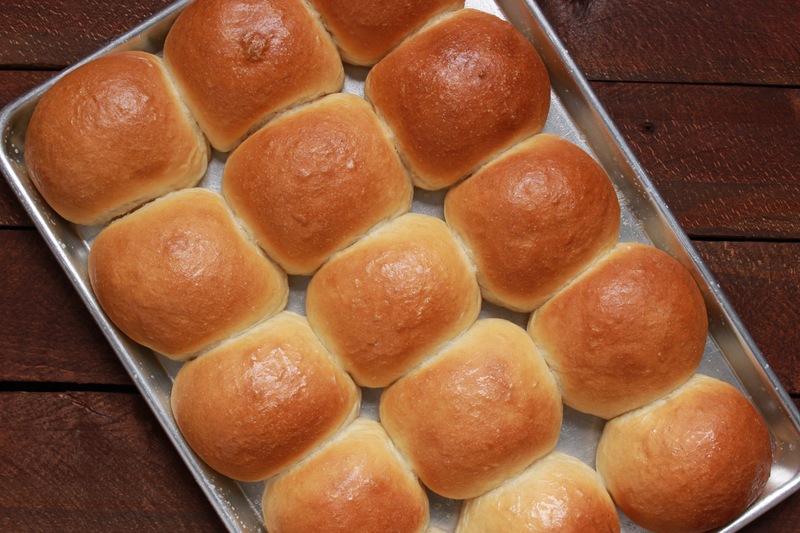 They mastered the art of rolling buns generations ago, and to this day, the tradition carries on. I might be slightly prejudice but I think my mother-in-laws are the best! I’ve discovered she pulls them out of the oven every Friday around 11:00 so I plan my trips to town around that and “just happen” to swing by for a fresh one (or two!) right out of the oven. It doesn’t get any better than that. They have a few secret ingredients hidden in there…. like duck fat…. which not only makes them extra soft but prevents them from turning powder dry after a few days. But if you don’t have access to duck fat you can substitute olive oil…. not sayin’ the results will be quite as amazing but they’re still good that way too. Also, I save all of my bacon grease from the pan and that counts as half of the oil. 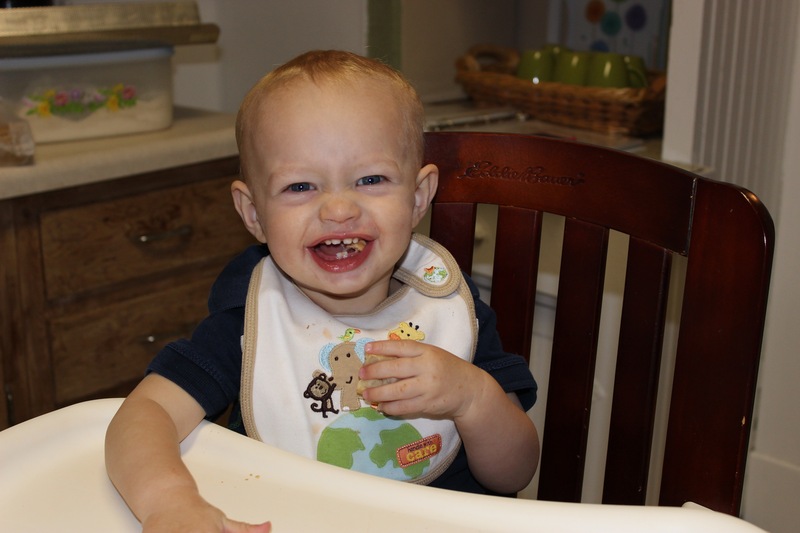 The look on his face pretty much depicts me while eating fresh buns, you know, the kind of fresh where the butter melts the moment its slathered on. Mmmmm….. I’ll take a few right now! You can also use this dough and make them smaller for dinner rolls if your not using them for sandwiches. Mix in Bosch or Kitchen Aid mixer and let rest for 15 minutes. Add white bread flour until dough is cleaning sides of bowl. Let mixer knead dough for an additional 5 minutes. Place in greased bowl, flipping to grease top. Cover with plastic (I use a clean trash bag) Let rise for 1 hour. Punch dough down and let rise for another hour. Lightly spray counter top and place dough down. Cut into 30 pieces, trying to keep them as equal as possible. Roll each piece of dough until top is smooth, using hand to shape into roll. This method of rolling is what makes them unique. Place on greased cookie sheet and cover with plastic. Allow to rise for another hour. Preheat oven to 350 degrees. Bake for 16-20 minutes or until golden brown. Lightly brush baked buns with milk. Cool. Store in airtight container. Anything containing duck fat and/or grease is NOT healthy. REAL fats are much better for the body than all these man-made fats like margarine. Back when people ate butter and lard they weren’t dropping dead from heart attacks all the time. Besides, I don’t see where it was claimed they were healthy -just delicious! Ok, so when I’ve made these buns at the colony they turn out amazing, but when I do it at home the texture inside is a bit more sense and the bottom of the buns get a slightly harder crust… Am I doing something wrong, or could this be a scale issue? Help me Ankela.